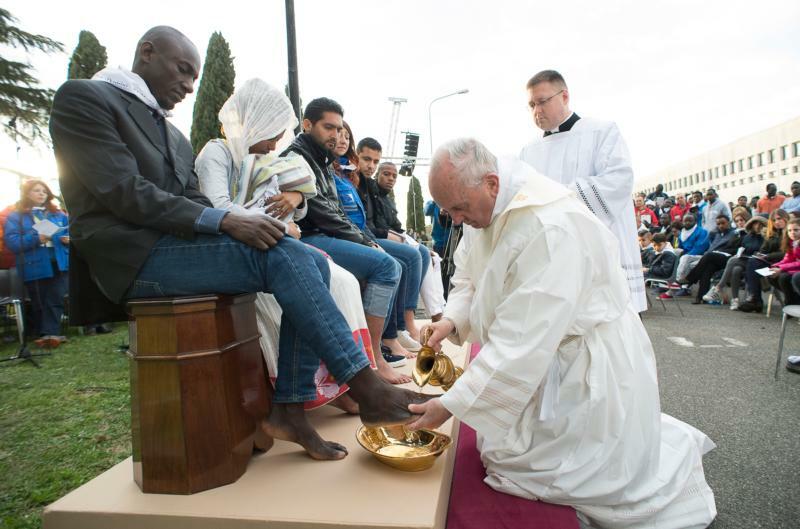 ROME (CNS) — Christian leaders, local government officials and humanitarian organizations raised a cry in late January after Italy’s anti-immigration interior minister ordered the closure of the Center for Asylum Seekers where Pope Francis celebrated Holy Thursday Mass in 2016 and washed the feet of refugees. “Lives frayed once again. Souls, now with bags on their backs, treated like postal packages,” is how the Italian bishops’ daily newspaper, Avvenire, described the scene. Drawing attention to the refugee situation in Italy, Pope Francis met early Jan. 23 with young refugees before leaving the Vatican to fly to Panama for World Youth Day. The young men and women are being assisted by the Jesuit Refugee Service’s Centro Astalli in Rome. No mention was made of Castelnuovo. Matteo Salvini, Italy’s interior minister and vice prime minister, tweeted that “we are dismantling the business” of refugee welcome and assistance and that the protests over what was happening at Castelnuovo demonstrate how special interests and “a lot of money” are at stake. Before the dismantling of the Castelnuovo structure began, it was home to 535 people — 401 men, 120 women and 14 children, who were enrolled in local Italian schools.